Heidi's attempt to derail the Class Action Lawsuit against Kimkins.con was not successful. She filed for bankruptcy in January 2009 which put all other legal actions on hold. But the bankruptcy case has now been dismissed. 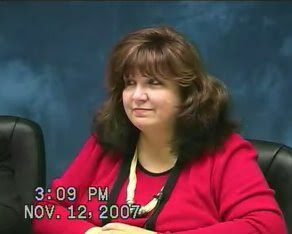 So who thinks Heidi Diaz will show up for the new Kimkins get-together scheduled for Las Vegas in October 2009? The 2008 venture didn't happen due to "high gas prices." What will the excuse be this time? That Kimkins.con doesn't exist anymore? She didn't show in 2007 either.